Laughing City :: View topic - What should I name my new fish? Laughing City Forum Index -> General -> What should I name my new fish? What should I name my new fish? Post subject: What should I name my new fish? I just bought a fish and I need a name for him. I am considering a few options. For some reason I feel like naming him after a person. Help me choose! I've asked 4 of my friends so far and all of them voted for Bingley. I think I'm leaning more towards Walter, though. because then you can shorted it to charlie and it will be an amazing visual reference to charlie's final moments in lost. Charlie Bucket. It's just a cute name for a fish, I think. That's what I'm waiting for too! I prepaid yesterday at school, and I'm waiting 'til the fish arrive today to go pick it up. 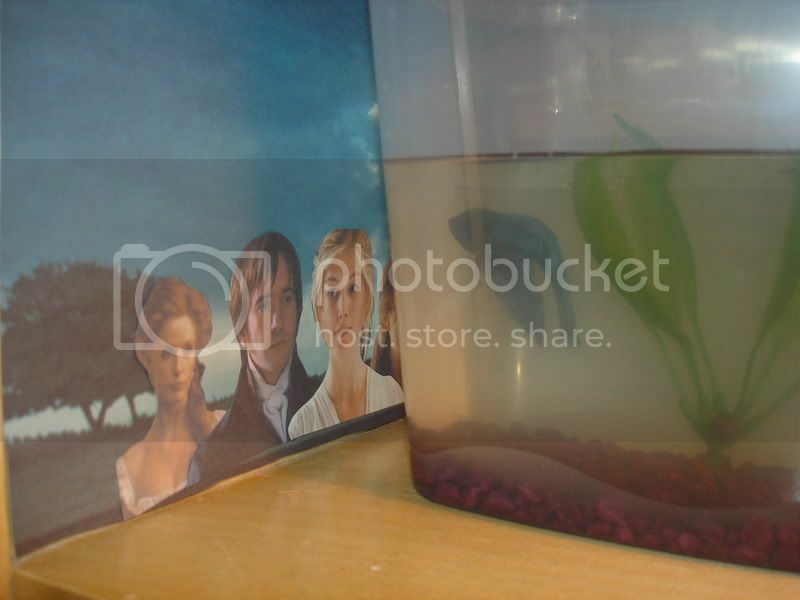 I will post a picture in a few hours when my wee fishy comes home, haha. Anyone know how I can edit the poll? I totally forgot to include George Bailey (from It's a Wonderful Life) as an option. Anyone know how I can edit the poll? If you edit your post you can also edit the poll at the bottom. Just tested this out. You can say "No matter what I try and do brotha, you're gonna die Charlie." Soooooooo I know I asked for everyone's opinion & that Charles Bingley is losing in the polls, but I got my fish a few hours ago and he's just such a Bingley. He's navy blue with a baby blue tail, and has quite a cheery disposition lol. Thanks all for the opinions! Anyone else have betas? I've had two! They're the best fish ever. By the way, his water isn't actually brown and cloudy - it's just the picture.